I’ve never made meatloaf. In fact, I’ve always turned meatloaf recipes into meatballs. However, today was the day that was going to change. I just didn’t feel like making endless balls of yummy meat goodness, and instead decided that a meatloaf would be perfect. 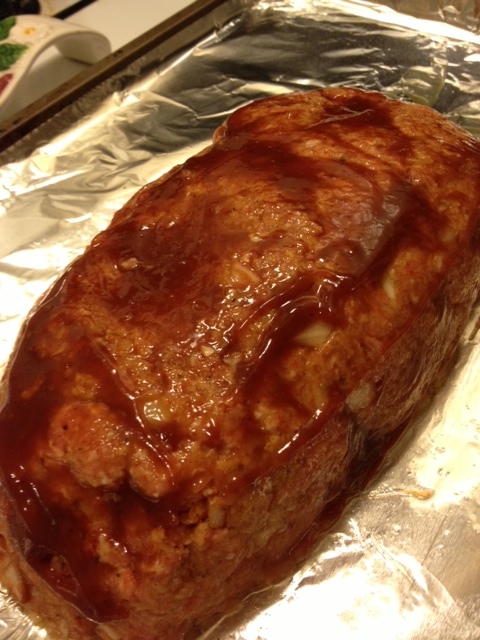 It’s been a lazy Monday, so to celebrate lazyness, my BBQ meatloaf hit the spot. I used my own BBQ sauce for this. But you can use any kind you like, or even just some ketchup to make the top moist and delicious. Preheat oven to 350 degrees. Combine 2 tbsp ketchup and Worcestershire sauce in a small bowl. Set aside. Cut up the onion as finely as you can, or if you like (which is what I did), add them to a food processor (I have a mini one, so my clean up was a cinch) and puree the onion. 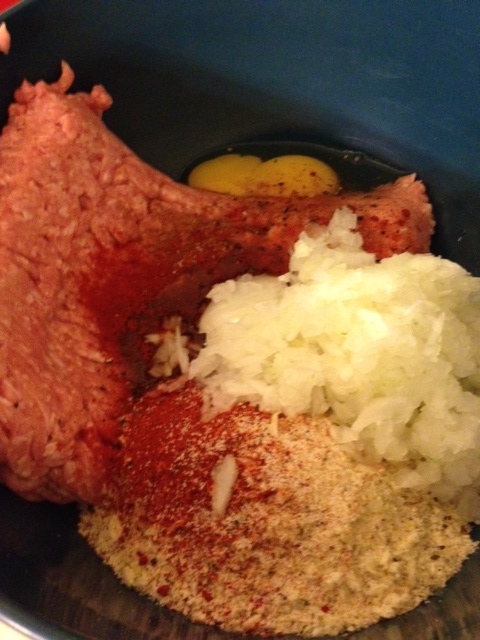 In a medium bowl mix turkey, onion, breadcrumbs, egg, 1/4 cup ketchup, salt and marjoram. Place mixture into a loaf pan or shape into a loaf and place on a baking pan. Spoon sauce on top and sides. 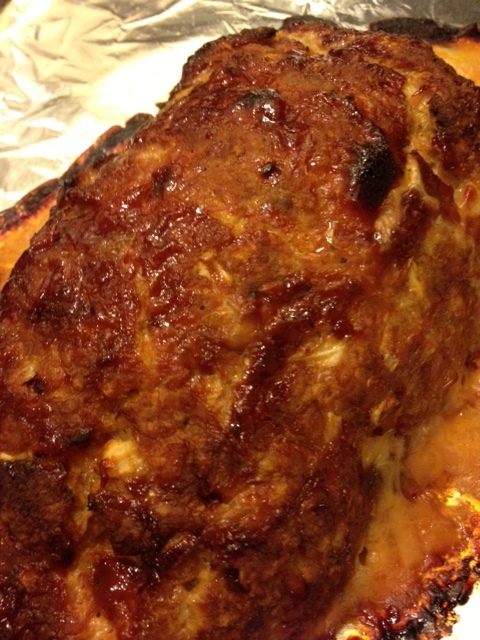 Bake uncovered for 55-60 minutes, and halfway take out of the oven to add your extra sauce if desired (like BBQ). Remove from oven and let it sit for 5 minutes before slicing. Posted in Cooking and tagged baking, food, healthy, holiday cooking, light and healthy, meatloaf, Memorial Day meatloaf, Monday cooking, turkey, turkey meatloaf. Bookmark the permalink.